After many years research and production, TUW is delighted to announce that a new, and unique, "Prisoner" soundrack CD set is now available to privately purchase. Limited to 1000 copies, the 3-CD set contains the Chappell Music Cues featured throughout the series (numbering over 100 pieces of music, many of which are previously unreleased). Also included is a 56-page booklet, with introduction by Music Editor on the series Eric Mival. 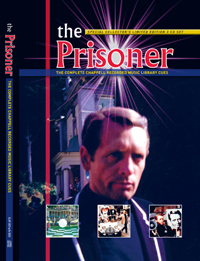 Click HERE to read all the details regarding this unique and exciting "Prisoner" item, including full tracklisting and order form. With thanks to Derek Lawton for this news item and information.